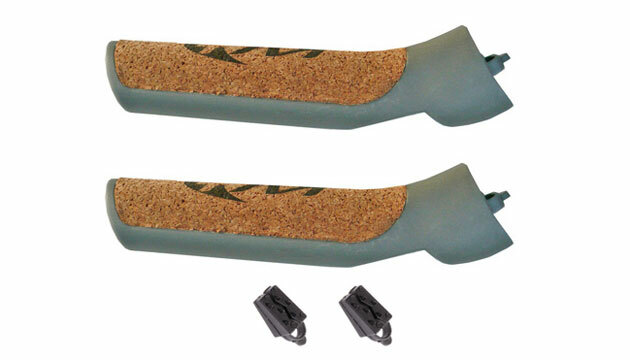 This set of 2 handles are for KV + poles without clip system such as KV+ Campra. The gripping surface is made of natural cork. X-Skating Workshop Tip: When changing the handles, warm up the handles on the Nordic Skating pole with a hair dryer until the hotl melt glue has melted and you can pull / twist the old handles off the poles. Then fill in some new hot melt glue into the new handles and pull the handles onto the nordic skating pole.